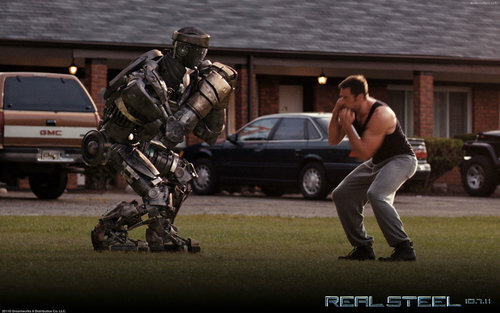 Real Steel. . HD Wallpaper and background images in the Movies club tagged: film 2011 wallpapers. This Movies wallpaper contains wicket, green beret, special forces, elite soldier, navy seal, and seal. There might also be battle dress, fielder, fieldsman, and rifleman.